Speedplay road pedals are popular with professional road cyclists; now the company has launched an off-road pedal and cleat. 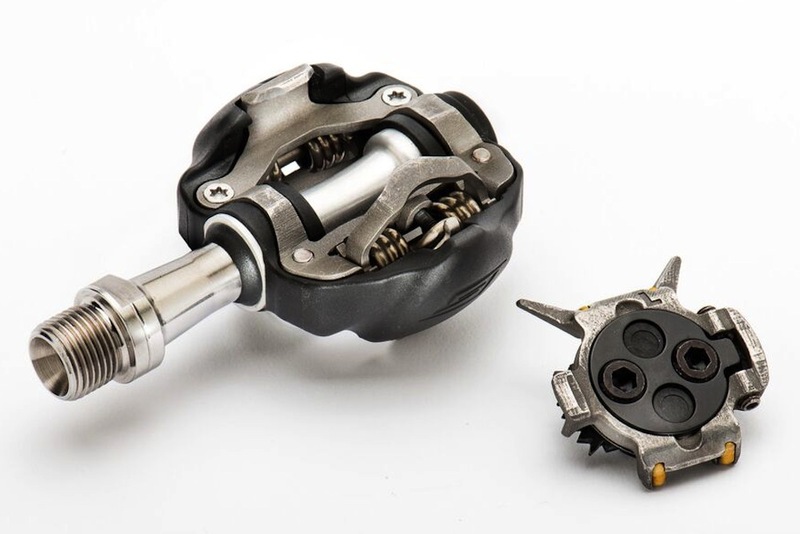 At first sight, Speedplay’s new Syzr off-road pedals look very much like a Shimano SPD pedal with a front cleat engagement pin and a rear spring-loaded hinged cleat retainer. However, as with their road pedals there’s a lot of adjustment built into the cleat. This has a conventional two bolt off-road fixing to the shoe’s sole, but the cleat’s pedal engagement mechanism can rotate around the bolted section. The amount of rotation is controlled by adjusting two small screws, which change the degree of float between ten and zero degrees. Since there are two screws, outward and inward rotation of the heel can be adjusted independently. Syzr pedal has plenty of space for mud clearance. To make cleat engagement with the pedal easier, there are two prongs on the front of the cleat which form a V-shape and guide the cleat onto the pedal’s front pin. Perhaps overinfluenced by its military neighbours in San Diego, Speedplay calls this its Target Acquisition Technology. Despite the name, this does seem like a good idea to make remounts more consistent. The rear of the cleat which engages with the cleat retainer on the pedal has a pair of small ceramic rollers built into it, to improve ease of release and increase durability. The cleat mechanism needs regular cleaning and spraying with a light Teflon lubricant to keep it working properly. Pedal and cleat. Note the cleat’s engagement prongs and rollers and the cleat float adjustment screws on the right. The pedal itself is designed to shed mud and prevent clogging of the mechanism. It runs on an outer cartridge bearing and an inner needle bearing. In common with Speedplay’s road pedals, these require regular greasing to keep them running smoothly; there’s a small grease port at the end of the spindle to allow this. Speedplay recommends lubrication every 2000 miles or 3 months, or immediately after riding in exceptionally wet, muddy or dusty conditions – which is pretty much every ride in the UK. >>> Which pedal system is best for you? The pedals are available with a stainless steel spindle at a claimed weight of 312g per pair and priced at £199.99 or titanium which reduces the weight to 275g per pair but increases the price to £349.99. A set of replacement cleats will cost £54.99. 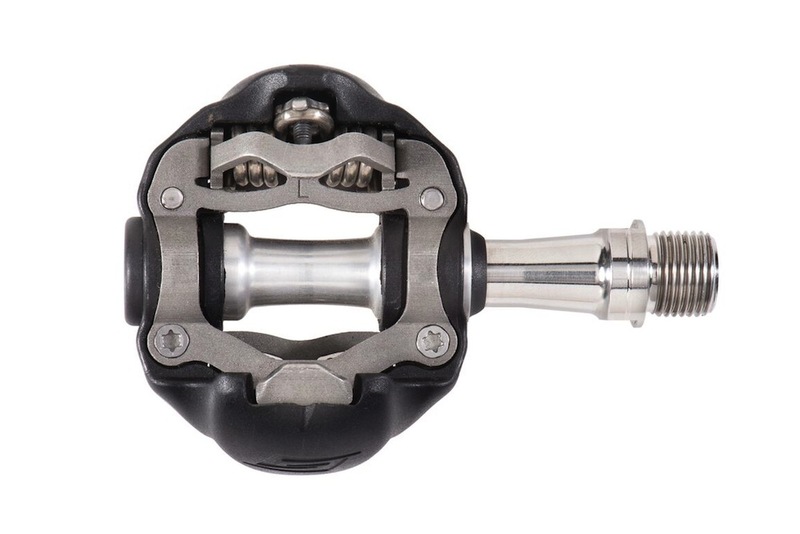 For comparison, a set of Shimano’s top of the range XTR pedals weigh 325 grams and cost £120. We’ll be interested to see whether the new pedal’s adjustment and engagement features justify its additional cost.